I love Holiday crafting. This year is my first Christmas with a baby, and with my husband working a crazy amount I just don’t have a lot of time on my hands for crafting. 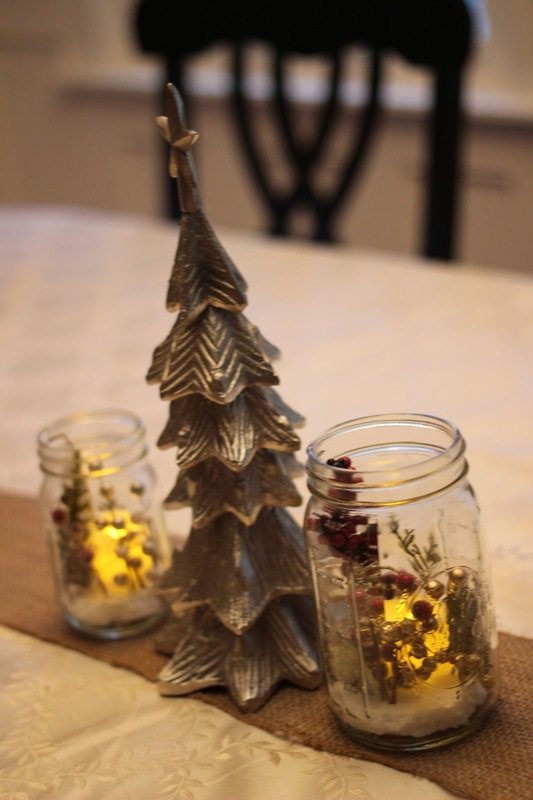 Instead of cut it out completely, this year I’m coming up with easy crafts that anyone short on time can do, and this is one that turns out beautifully. Just a heads up, all of these were 50% off this week at Hobby Lobby. 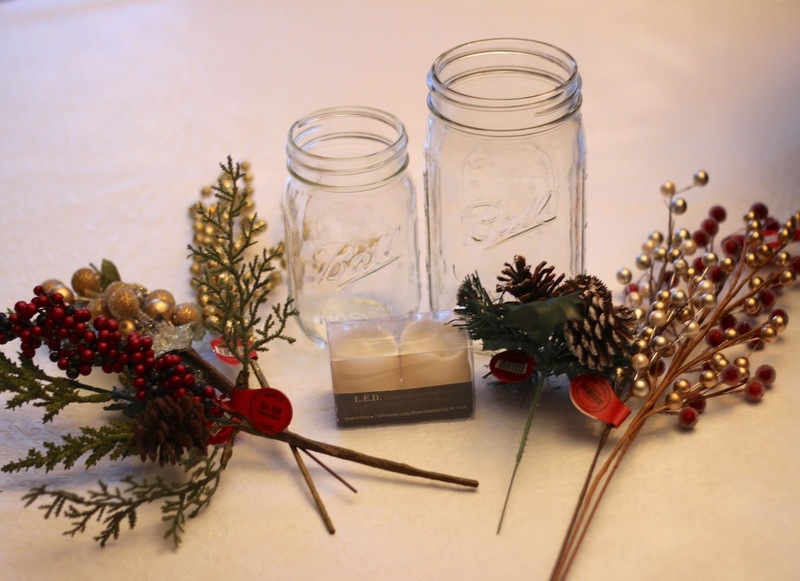 What you’ll need: glass mason jars, any size, flameless candles (please don’t use real candles – fire hazard), Christmas decorating items (not sure the technical names for these but they have them at all craft stores), styrofoam. Cut out styrofoam in the size of the jar you are using, and slide it in to the bottom of the jar. 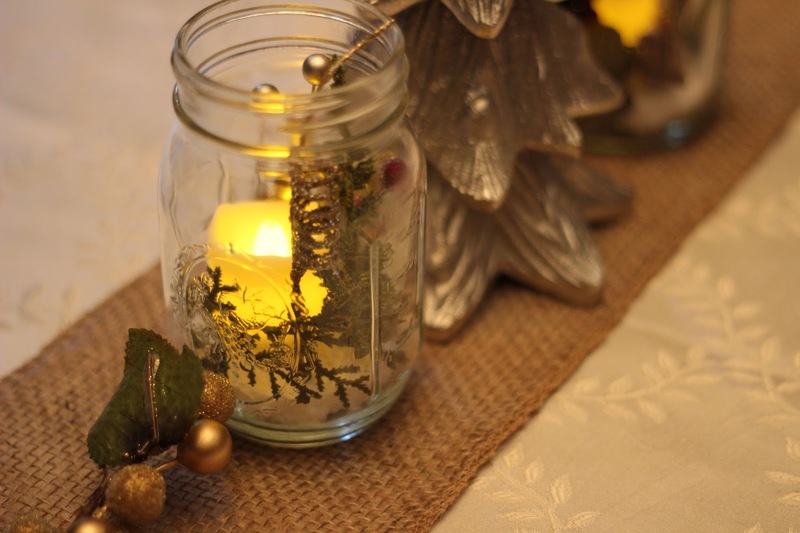 Cut off the branches of the different decorations you bought, and design in the jar the way you please, sticking the branches into the styrofoam. Leave room for the candle in the middle. When you are done turn on the candle and slide it in the jar. Style in your home as you please. Voila – you’re done! Glad you enjoyed! I will check it out! These are beautiful and look easy enough for a non-crafter:). Thanks for sharing! 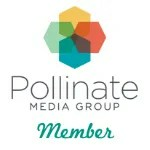 Your blog is very pretty! What a sweet little holiday craft! I love mason jars, and the flameless candles give them such a pretty glow. I wish I could figure out a way to use real candles and not have it be a fire hazard! I love these! I love the colors you picked! They are simple, but so pretty! Thank you for stopping by and sharing! 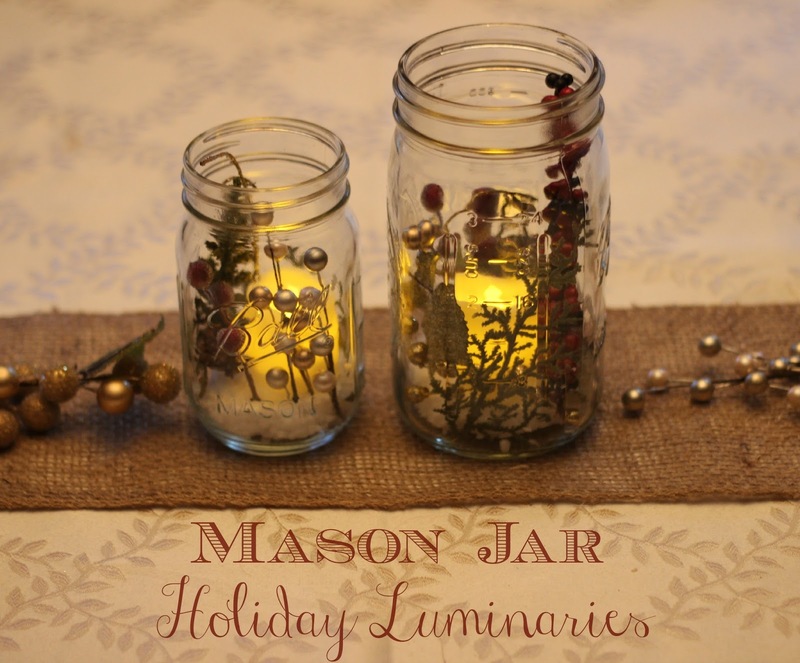 Beautiful luminaries Claire- I am ALL about mason jars and can definitely see us using these year after year… craft for the weekend! 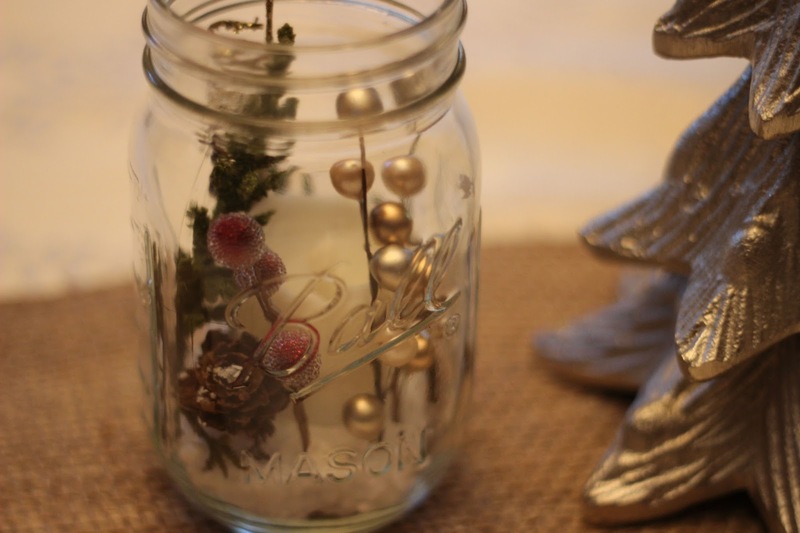 Such a beautiful decoration and so easy! I love it! 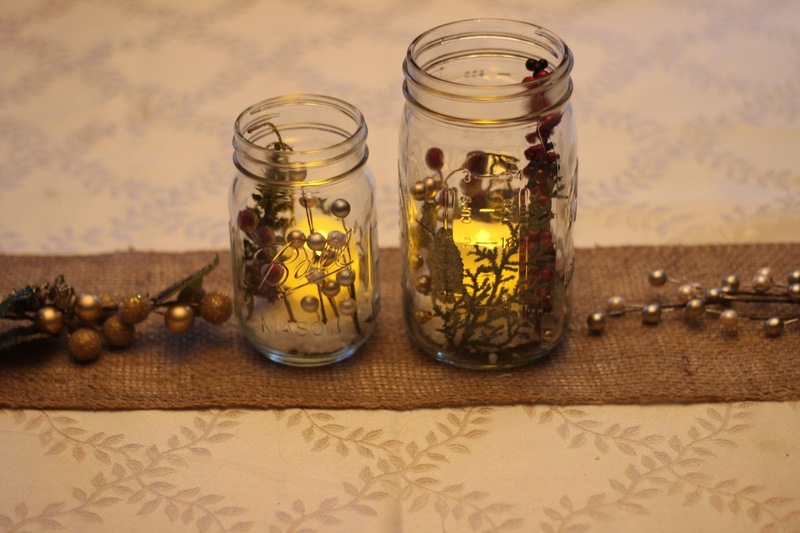 I have some mason jars lying around I could do this with. 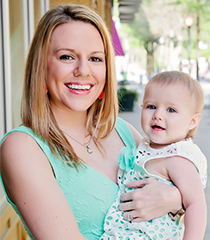 these are beautiful… thanks for sharing!